FEATURING MIGHTY CROWN AND FIRE LINKS. 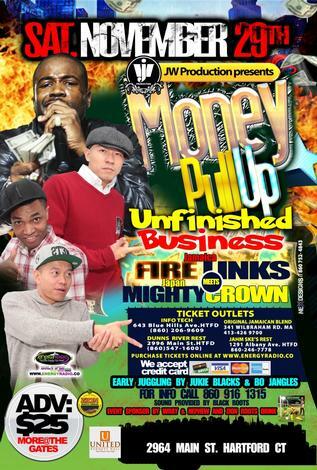 "UNFINISHED BUSINESS"IN 2013 FIRE LINKS CLAIMED THAT HE WAS THE BETTER SOUND.....MIGHTY CROWN DISPUTES THAT CLAIM. HENCE, THE UNFINISHED BUSINESS. WHO IS THE BETTER SOUND?????? ?